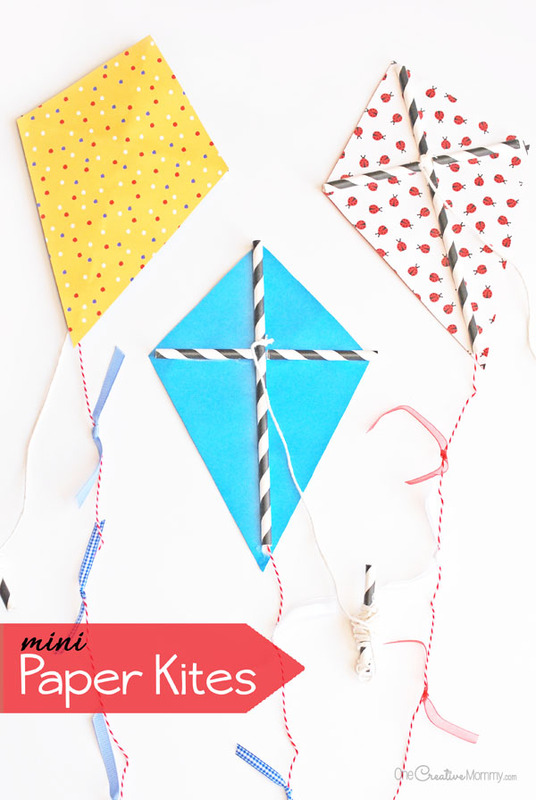 I’m so excited to share this fun and easy 4th of July craft for kids. 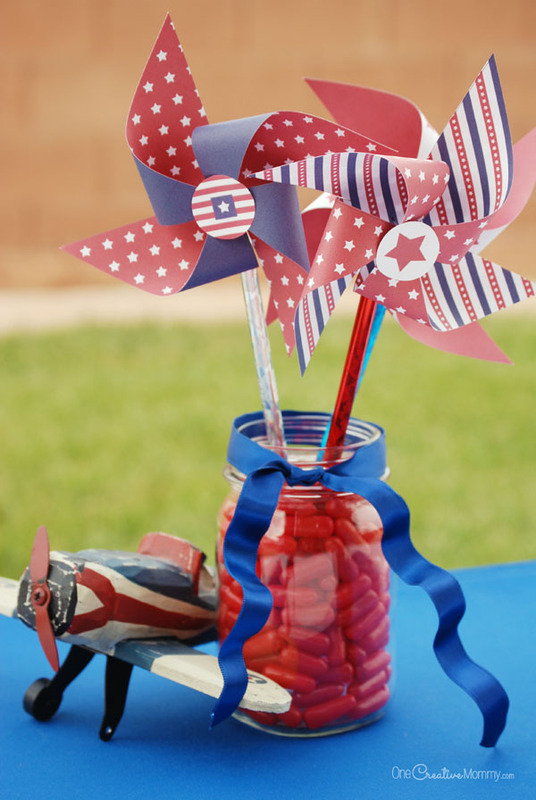 Don’t you think these patriotic pinwheels are so cute? 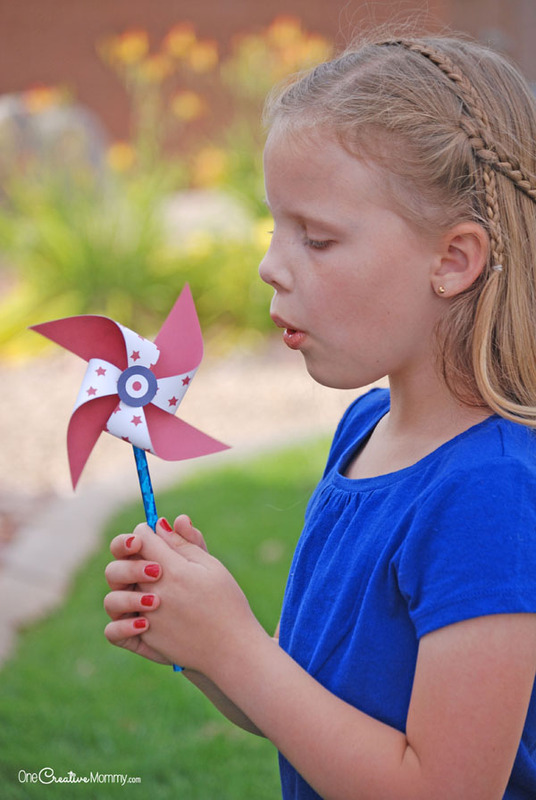 Do you have any idea how easy it is to make a pinwheel? Seriously. I don’t know why I’ve bought them for my kids so many times. They’re super quick and easy. I bet you have pretty much everything you need already. 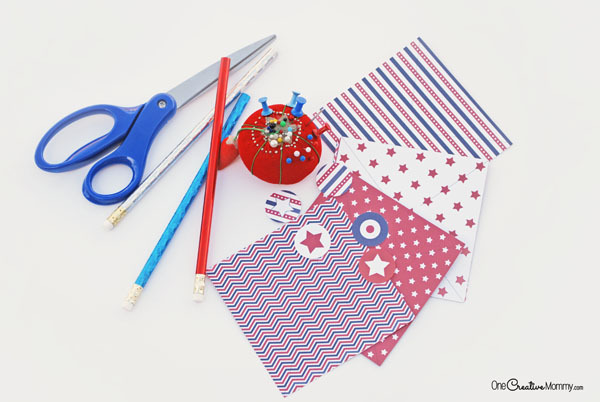 I’ll provide some fancy patriotic paper (in the form of mix-and-match-printables), and you provide the rest. You need cardstock, access to a color printer, thumbtacks or pins, unused pencils and a strong glue (I used glue dots). Just a hint to save you some frustration and travel time. Skip Target, Walmart, and the Dollar Store when looking for red, white and blue pencils. Head straight to an office supply store. I got mine at Staples for less than a dollar. Bend every other corner into the center of the pinwheel (overlap the center x slightly). Release the corners. Using a thumbtack, poke a hole in the center of the pinwheel (through the x) and in every corner that you folded. I found it easiest to poke through the paper and into a pin cushion. Choose a center circle from my patterns to glue over the pin, or use the pinwheel as is. Have fun! 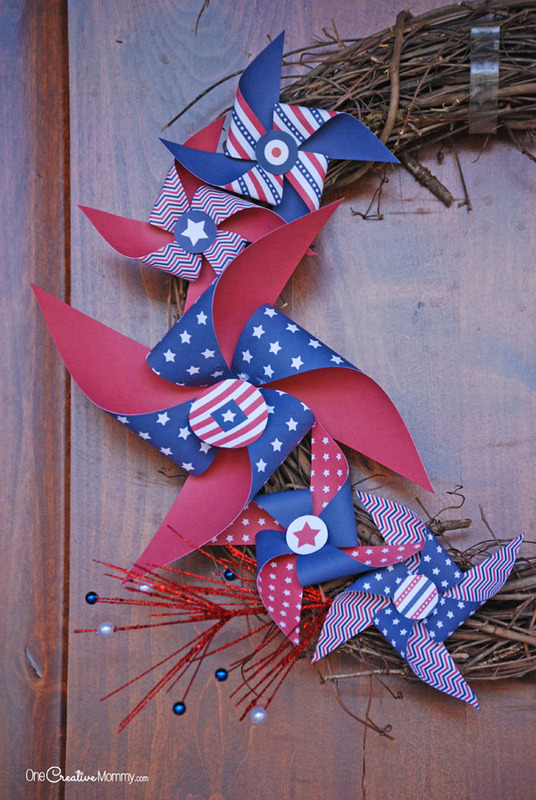 I used the small pinwheels to make a patriotic mantel decoration (above), and I used a combination of the small and large pinwheels to make a fast and frugal Fourth of July wreath for my front door. 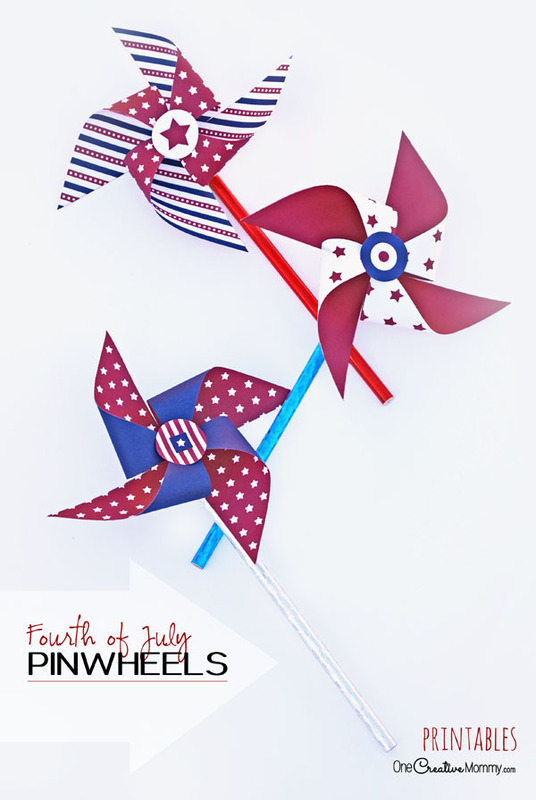 What will you do with your pinwheels? Thanks for reading. Have a great week. Don’t forget to check out more fun ideas by clicking on the images below. The images are linked to posts. Those are really cute pinwheels.. Perfect for the 4th of July.. Thanks, Elmer. They’re a great kids’ craft, too. These are so cute! I think they would be fun anytime of the year to make. Definitely, Jacqui. I’ll never buy a pinwheel again! They’re so easy. These are so cute and creative! They look terrific, and they seem to be simple enough for anyone to do. Thanks, Val. They’re definitely easy! I’ll never buy a pinwheel again. These are so cute! I love them! 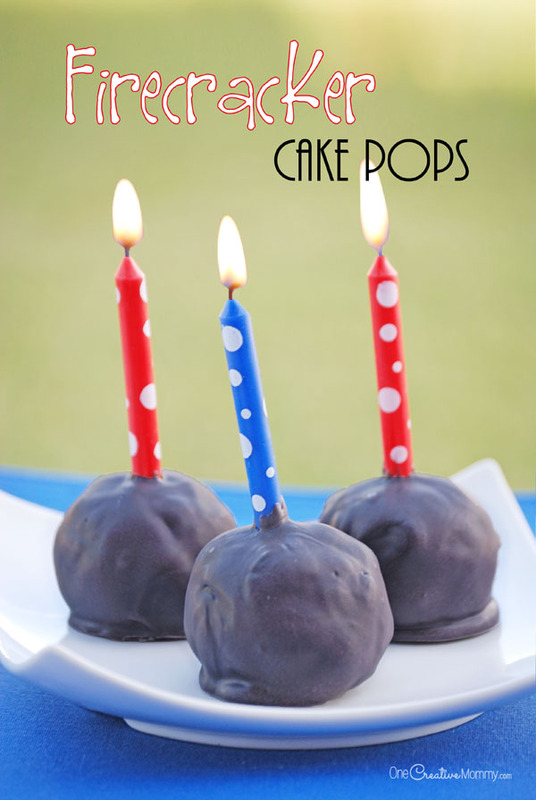 I will definitely have to make these next year! Thanks, Carrie! They’re super easy and fun. I hope you enjoy them. What a fun idea! These would be a great way for kids to have some fun before the fireworks begin. That’s a great idea, Marcie. We made ours with just the kids for our home, but it would be fun to make them at our neighborhood 4th of July party. Wow, they really are beautiful and cute, congratulations on creativity. I will try to teach my daughter to do, she loves crafts. 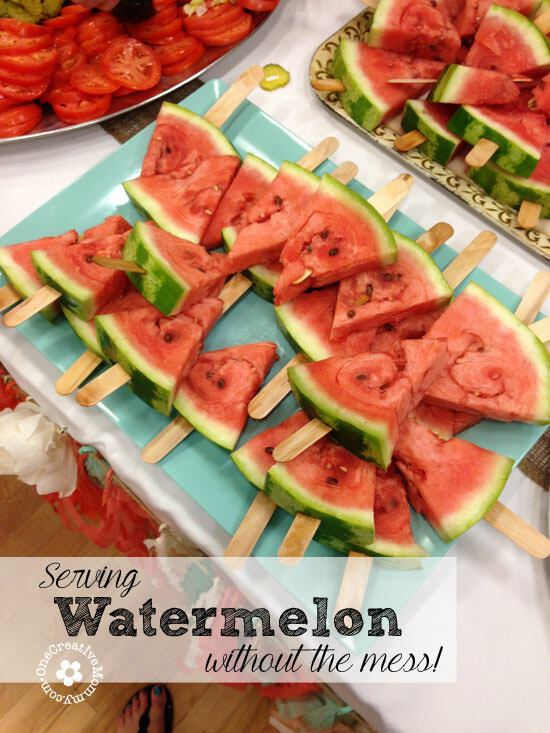 I love your pinwheels and also putting popsicle sticks with watermelon slices. I will try these this 4th. Thanks for these wonderful ideas!!! Thank you for your kind comment, Kathy! I hope these ideas work for you.